Full Sail Graphics is excited to announce that we have recently added the HP Scitex FB700 printer to our line of tools in a bid to increase our printing capabilities and expand our services. To improve response time and execute printing quickly and efficiently, the HP Scitex allows us to load, print, and collect media simultaneously in high-volume production environments. Unlike the old-school printing ink that requires prolonged air dry, the HP Scitex printing machine uses UV-curable inks, which enables us to print directly on any flexible or rigid material, including corrugated plastic materials, thanks to the good adhesive properties of the ink. What does all of that mean for you? We can print even more high-quality materials consistently, quickly, and with amazing results! With the machine’s six-color printing with 1200 by 1600 dpi print resolution, we are able to provide our clients with outstanding image quality as well as outdoor display permanence. We are able to perform a range of high-value applications such as double-sided prints, full bleeds, matte/gloss, undercoats, overcoats, and spot color printing. And it’s now easier than ever to use white ink! At Full Sail Graphics, we aim to produce high-value applications that satisfy our customers’ needs. We are able to print on flexible materials and create incredibly huge and stunning outdoor applications like billboards, real estate and directional signs, hoardings, and so much more—and also achieve displays of permanence of 2–3 years without any lamination. 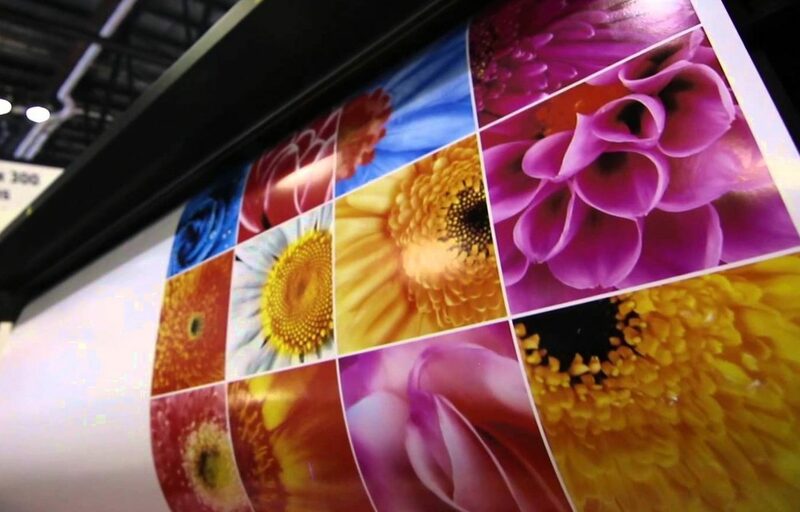 Additionally, this printer allows us to produce appealing metalized effects like wallcoverings, and using the white ink in-line system, we get to print on virtually any colored, transparent, or translucent materials. Fine art and decoration have never been easier. We are able to integrate fine art and decoration in foam board pictures, doors, and mirrors, as well as metalized wallcoverings. Finally, the machine’s advanced features and technology enable us to print a wide range of applications for exhibitions and events, including truss structures, double-sided banners, flexible and rigid backdrops, and many more. The HP Scitex FB700 Printer is providing us with endless printing applications. It offers the flexibility, speed, capacity, and technology to answer our customers’ needs. If you can dream it, we can now print it! With over 50 years of combined experience in graphics and marketing, the Full Sail Graphics team is confident that we will deliver quality graphics on time and on budget. If you’re interested in seeing exactly how we can put our new printer to work for you, give us a call at 714-274-6706 or contact us for a free quote today.